I know, it's not a great title for a post. 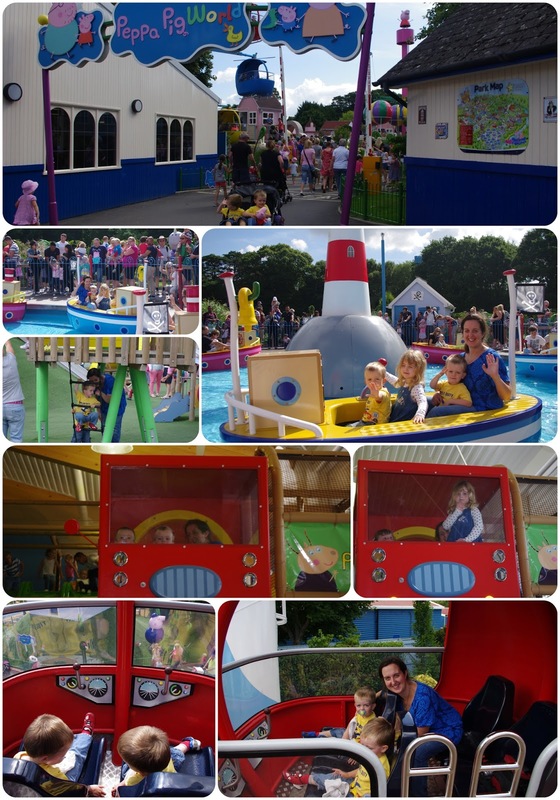 But do you know how great Peppa Pig World is in term time? And do you know how naive a mum is whose little ones have not yet started school is? So, hopefully you can imagine my disappointment? I was a little reserved when we started planning our adventure. Last time we visited Peppa Pig World was for Squeaks' 3rd birthday. We spent a Sunday and Monday in March at Paultons Park on a short break and it was fantastic. I tried to book a short break for this visit and, as seems the norm for parents with three children, the costs came in for a reservation for two hotel rooms. Even for a hotel which features on a fantastic website (the clue is in the title!) as being able to accommodate us in one room, Paultons Park Breaks wanted to charge for two room and increase our price by over £100. So, the maths were simple, it made no sense to make sense of the Paultons Park offer. So, we headed to Winchester. 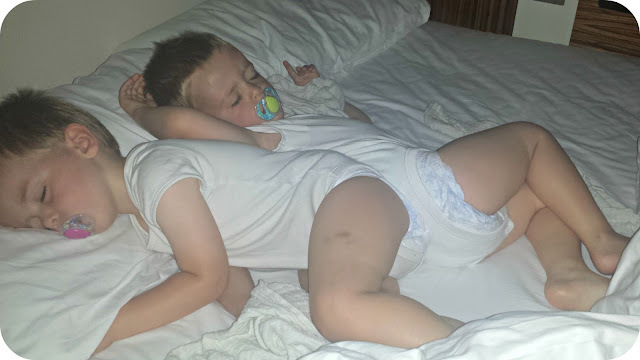 And whilst a room for 5 has two double beds, fortunately with a bit of room rearranging (the children slept horizontally across the double), we were over the moon with the hotel, the friendliness of everyone at the hotel, and having a good night's sleep was such a bonus. I took the queues to get into the Park as an inevitable sign of the school holidays. When we arrived, having purchased tickets in advance, we were straight into the Park. And I guess this is one consideration, how do Paultons Park know how many people are visiting just for the attraction of Peppa Pig World? (I am guessing a week's worth of monitoring over the summer would answer this). Because (as per our last adventure) we were visiting for Peppa Pig World. Oh, the simplicity, only 7 rides. With a Park that's open from 1000-1730. How could this possibly be a challenge? Well, when you factor in hour long queues, it really becomes an aspiration. Because it becomes about keeping a child (or three) entertained for 60 minutes rather than holding onto a five minute memory. And (because since we've checked since we returned) if 75 minute queues are an average for under 5's would you be doing more to accommodate? Because, here's the thing, we have found everyone at Paultons Park so lovely, so accommodating. And the facilities for young children are fantastic. So, where is the queue busting? I'm not a pro- I'm not sure what the answer is, but I could throw face painting, jugglers, and the like into the mix. And I'd just add, for anyone's reality, imagine 50-odd 2-5 years olds queuing for a ride. And, yes, Squeaks went on the other rides in Paultons Park. And the boys made the most of the indoor and outdoor play areas. ... which we could have experienced for a fraction of the price at home. And I know, I am bitter, it's because I have the best memories of this a few years ago. I have the best photos. To show to the children to allow them to remember the great day out that we had when they were two and four. Do they need to know that we gave up and went home at three o'clock? Because queuing in such hot weather wasn't anyone's idea of fun. Because whilst mummy can just about keep 2 year olds entertained, a 4 year old doesn't understand the concept of queuing. And because, there may be a whole other Park to explore, but we have Oakwood on our doorstep, and we wanted Peppa Pig World. Whilst we were there, and because it was my idea, I kept saying to Mr J, "Well, we've got at least ten years of this ahead of us". ... but here's the thing. I paid for the same ticket as I did when I took Squeaks here for her 3rd birthday. And yet I didn't even get a fifth of the service. Because we couldn't enjoy the range of services (rides) we did when it was term time. And yet you pay the same price? I want to say that for Squeaks 5th birthday we'll go back with all three children. But Squeaks now has her heart set on Legoland. And the Park isn't open in January for the boys' 3rd birthday. So, I am more or less resigned to the boys' not getting the same fantastic experience. In reality, what I am realising, is we have to become a bigger fan of the great outdoors. That queuing for more than 30mins isn't really for this family. I have to take Mr J seriously about camping. And we have to make our own fun rather than relying on tv characters. It's not exactly maths when you write it down. Disclosure: We paid for our hotel and tickets to Paultons Park. We have recorded all feedback on our customer evaluation as we have here.